The CPA 2500 is Chord’s entry-level preamp and represents the most affordable way into Chord pre/power ownership. 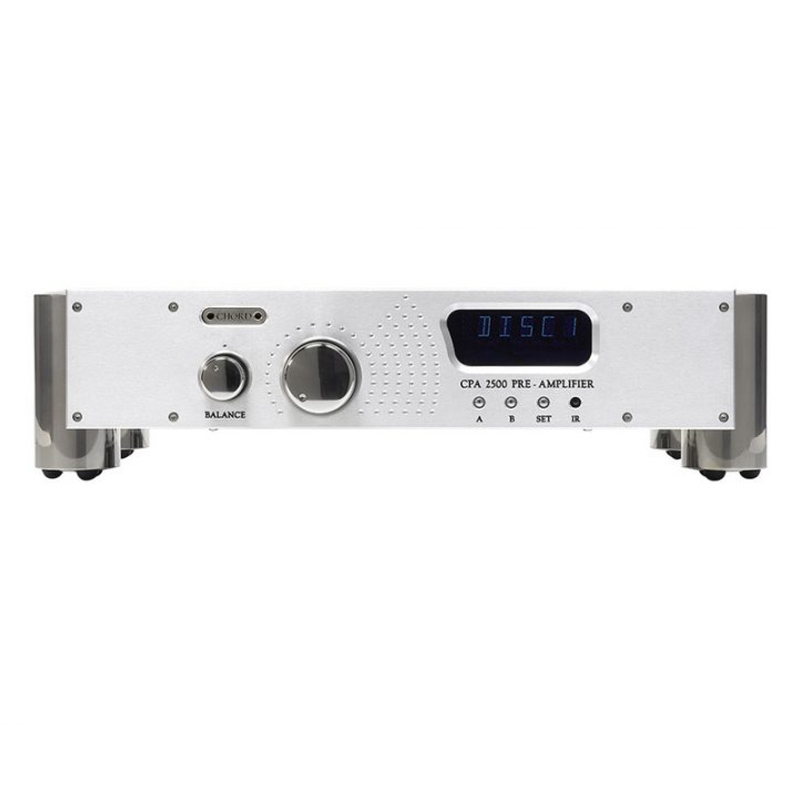 A full-width design and the perfect complement to their SPM 650 power amp, the CPA 2500 allows the direct connection of up to six ancillary devices via its unbalanced RCA inputs. For high-performance connections and longer cable runs between pre/power amps, the CPA 2500 is equipped with two pairs of balanced outputs and one pair of unbalanced RCA outputs. Although suitably minimalist in its configuration, the CPA 2500’s balanced output amplifier section utilizes a highly accurate, high-performance design, capable of delivering the transparency that Chord amplification has become internationally known for.